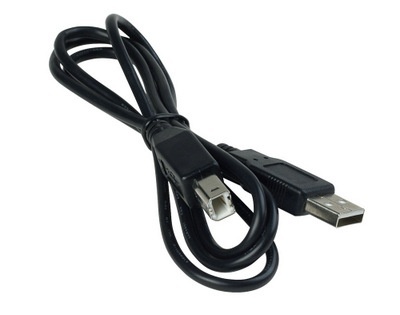 Для прошивки Arduino используйте USB провод, такой же провод используется для подключения принтера. Каждая строчка обозначает одну кнопку, к примеру, в первой строчке нужно заменить значение «32640» на ваше. Привет. Библиотека SoftTimer в архиве пустая. Подойдет ли эта библиотека из архива версии 1? у меняя выдает ошибку… может подскажите что можно сделать? Скажите пожалуйста, можноли использовать вот такой дисплей? 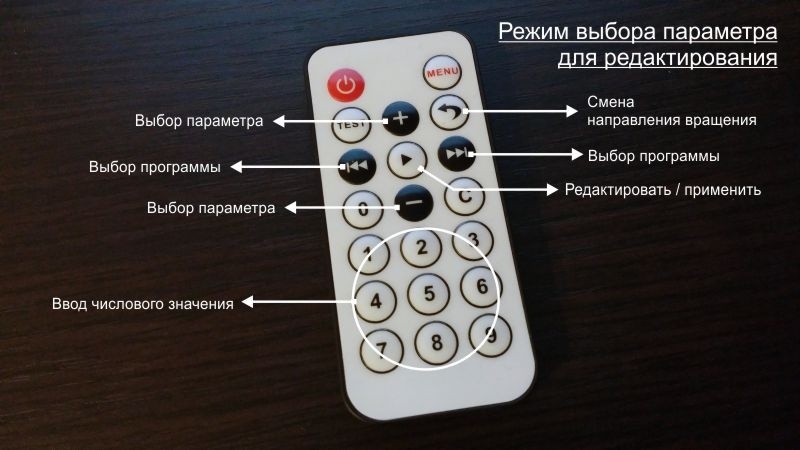 Если да, то куда куда вставлять провода которые идут на 6,7? При этом прошивку нужно использовать для блока управления первой версии. Right now it moves only in a single pattern, no matter which buttin I push. The motor is moving only a few steps. Сейчас он движется только в одном шаблоне, независимо от того, который Бютен я толкаю. Двигатель движется всего несколько шагов. When set to pause — none is included shooting mode without stopping the rotary platform. Navigating through the menu by using the arrow keys. Left and right program selected from 1 to 4. In each program, its settings. Use the up and down select the parameter for editing. 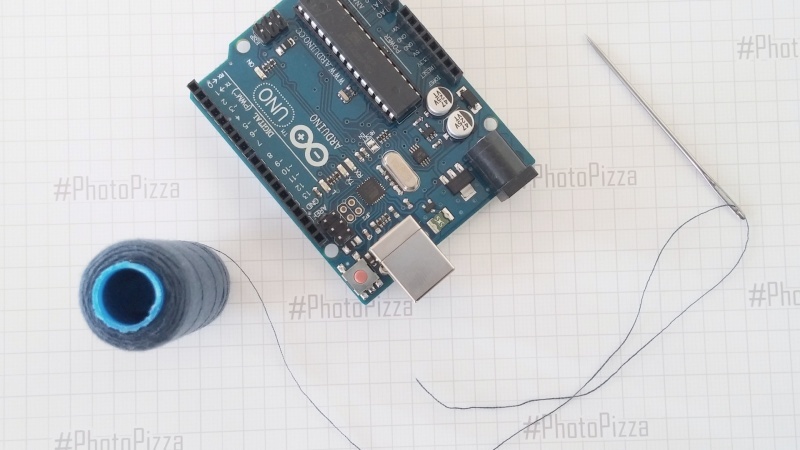 For accurate tracking of rotation, put on a rotating disk object in front of the motor shaft. To calibrate the platform set the parameter frame = 1. It is necessary to choose the parameter value in steps to rotate 360 ​​degrees platform. To get started make an arbitrary value, run the program and if the platform is turned less than one revolution, it is necessary to increase the value to an exact coincidence of labels. Thank you, I have seen this link, but I do not know in which file I can change those parameters. 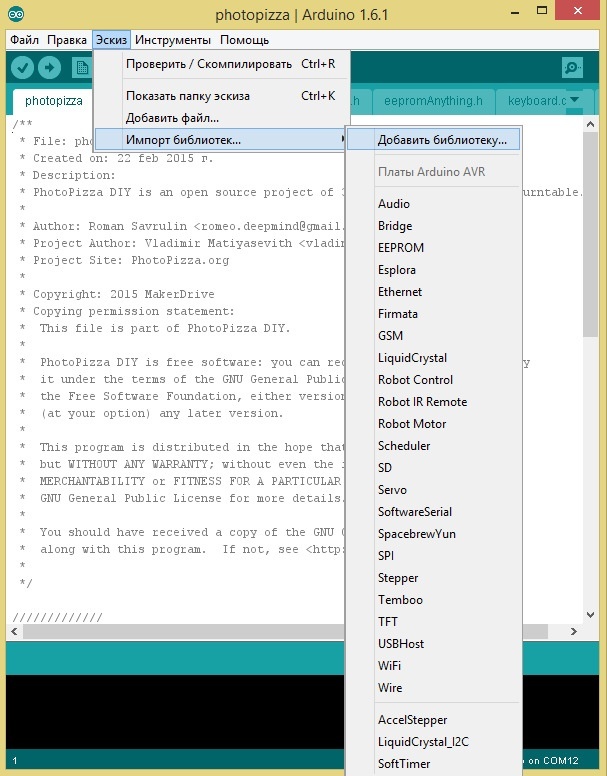 I have not found «run, steps, speed, frame...» in Arduino. To be more precise about the question: What is the file name, where I can change the program paramenters like speed, steps, frame and so on? Program settings are changed using the infrared remote control. 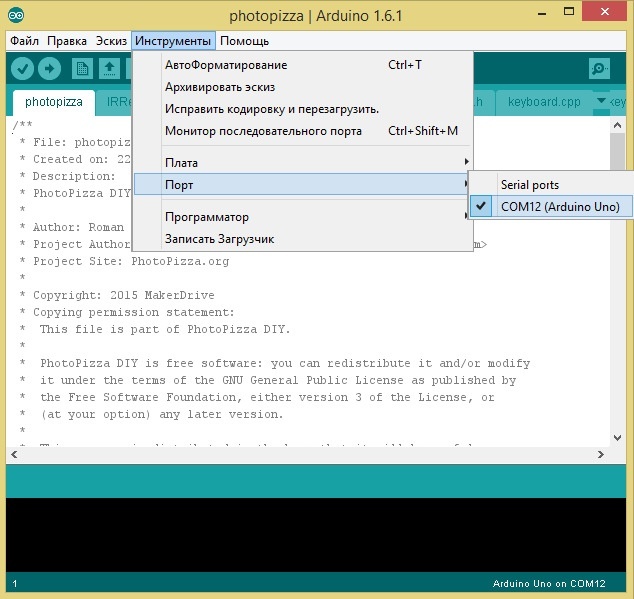 You have installed the firmware in the Arduino? У пульта по списку 17 кнопок, в скетче прописано 21 команда, что то не срастается. Hello. Thank you for sharing this project. 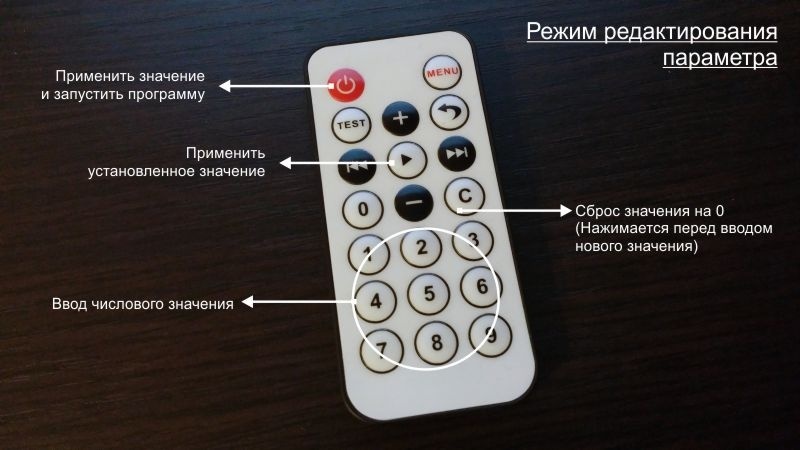 It is a really great idea :). It is working very well. But I have a question. When I start a program it starts ok, with acceleration too, but when I stop a program manually the motor stops for a moment and after that it decrease the speed until it stops. There is a way to eliminate this motor stop error? Or what is the problem? Thank you! Sorry for English, but I don't speak Russian. Hi, yes, there is such a problem. This is due to the interruption and features Arduino controller. I am currently developing a new firmware to get rid of problems and add new features. I have a problem with relay. It's always in «closed» state and when it shoots it gets «open» state. That way, my camera shoots continuously and pauses when relay «shoots» and it should do quite the opposite. What am I doing wrong? The relay reacts to opposite control signal. The program code needs to be corrected. Я понимаю, что в тех четырех заложенных последовательностях этого параметра нет. Я думал как-то изменить сам скетч, но 2 дня разбирался и не смог понять где это сделать. Сложноват этот скетч для меня. Реле с негативным управлением нашел где в скетче поправить, а вот добавить паузу и кадр в начале цикла не сумел. Вот, кстати, кусок кода во вкладке paramRun.h для реле с негативным управлением. 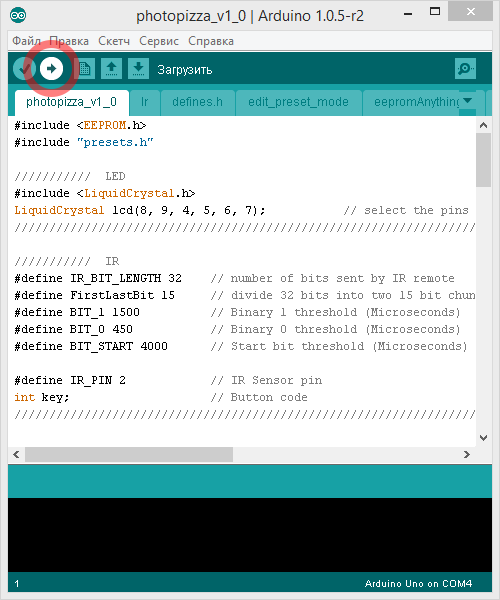 — I'd like to try to update the arduino sketch so it will have the same functions as your espruino v.3. 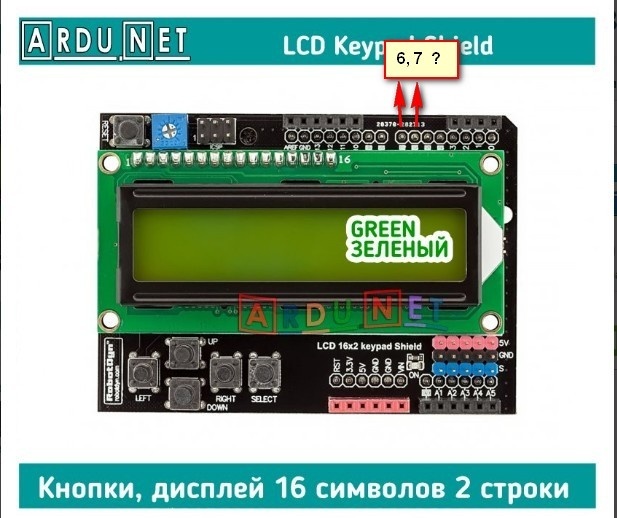 I will try to modify the LCD 16x2 display for the 128x64 0.96" but could you give the list of functionnalities upgrades you've made between the 2.1.0 arduino's sketch and the espruino 3.0. Yes, i know the EN pin should be in HIGH output, but i can't find where to insert this command in your sketch: I looked deeply in the paramRun file, found the stepper.moveTo function that tells the motor how many steps should be made beetwen two camera shots but i can't find the stepper.run() command that makes the motor move. Or maybe you use another function that i'm not aware of? Any clue will be welcome! The old firmware was not developed by me. I'll give the programmer your questions, we'll wait for his answer. But I can answer any questions about the firmware on Esprino. Now I'm doing a new version with support for management through the WIFI. The new controller, which I now test, supports Arduino and Esprino. On board is WIFI and Bluetooth. It is cheap.